The deadline for the New Cross Assembly Fund has been extended to 30th April at the request of those attending the assembly meeting on Tuesday 29th March (the previous deadline of 12th April was felt to be ridiculously short). Any project applying will need to be set up with a constitution, insurance, public liability, Equal Ops, CRB checks etc etc, so this is not for those with bright ideas and no organisational back-up. sam.dias@lewisham.gov.uk or call her on 020 8314 3386 or 07834 144937. The assembly meeting was well attended, perhaps because more people had been leafleted than before (we have never been leafleted about it ever), or because many people in the far northwest of the borough are concerned about the new development at Surrey Canal (London Sporting Village) which includes the area around Millwall where 2700 posh flats are to be built. However this subject was not on the agenda. On the packed agenda was the approval of the New Cross Ward Action Plan referred to above, none of which touches on the concerns local people have for new developments going up with vast amounts of residential space (mostly private) at a time when there are cuts in all areas of public spending on support infrastructure. It was agreed to add 'new developments' to the Action Plan in due course, since the Action Plan was 'ongoing'. In fact 45 of the 53 listed objectives in the Action Plan had a Time Frame that was "ongoing". Not much of an action plan then, with no urgent deadlines to reach, and the Assemblies are only quarterly. It does appear, however, that some of the items may be actioned through the projects who win the Mayor's Fund. In other words, the 'Action Plan' mainly exists to identify which local projects fullfil local needs. Ironically, none of these projects can expect 'ongoing' funding if they successfully deliver. The new Neighbourhood Community Safety Service's work appears to mainly centre around antisocial behaviour, but of course this is of no use to Crossfielders as Lewisham Homes residents nor to anyone else in social housing in the borough or those managed by housing associations. Two wardens were awarded a big bunch of flowers, so I'm assuming they're being made redundant. The person sitting next to me seemed to think all the wardens were going and even though we hardly see them, we now may not see them at all. If anyone knows what the hell is going on please let us know. Perhaps more information will be made available soon as the new plan kicks in. The leaflet distributed on the night was clear as mud as regards PCSOs. There was another presentation from Rob Jones from Transport for London to talk about the new London Overground extension, which includes a site for a future station at Surrey Canal Road, but not the construction (or funding) of the station – a topic of hot debate that is beyond the range of this blog (and the Chair didn't allow much debate), but significant in that Joan Ruddock campaigned so heavily for it and now the only chance of it getting built appears to part of a sweetner that allows a massive tower block of 2700 flats to go ahead at Surrey Canal. The new Deptford station in which Joan was also involved as chair at meetings between developers and council and other stakeholders was obviously not on the New Cross Assembly agenda, even though any news on this would be gratefully received by the hundreds of Deptford residents living in New Cross Ward. More evidence that a New Cross Ward does not serve Deptford. 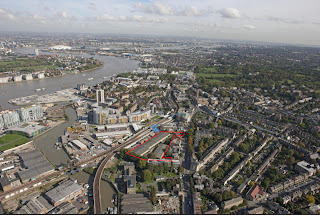 Other topics that might be of interest to this blog, such as the development at Convoy's Wharf must be, we are told, covered by the Evelyn Ward Assembly meeting – the next meeting being 7th May. Perhaps Deptford station is also in Evelyn Ward, or does it straddle the tracks where the two wards are divided and doesn't get discussed in either assemblies? There was no time for the next agenda item from the Drug Action Team, and the meeting ended with an upbeat presentation from Ministry of Youth, a New Cross based youth project. Perhaps the most disappointing thing about this Assembly meeting, apart from it only happening once in a blue moon, was that the leaflet seemed to promise attendance by our three ward councillors. Only Cllr Padmore was in attendance (as Chair), Cllr Madeleine Long was a no-show (has anyone ever seen her? ), and there was a brief appearance by Cllr Paul Maslin towards the end (an important council meeting, Paul, or did you have to take the kids swimming?). If these meetings were more frequent that would be understandable. But they're not, and it's not good enough. On the upside, it was an opportunity to meet other people from the area and find they have the same concerns that are continually not being addressed properly, and agree with them that they're not likely to be addressed here either. Lewisham has refused Betfred's Planning Application! 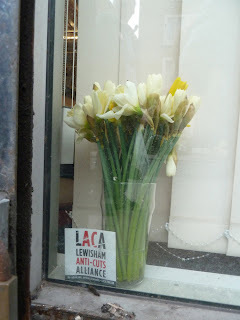 We called the Planning Officer today to find out when the Planning Committee hearing might take place and were told that only just yesterday the Chief Planning Officer, as the delegated authority, had turned them down, based on Lewisham's Planning Policy. Such a decision negates the need to go to committee. 1) The proposed variation of Condition (2) to allow use of the premises for unrestricted A2: Financial and Professional Services, for use as a betting shop would continue the proliferation of an over concentration of betting office uses in the vicinity within a designated core shopping frontage, beyond an acceptable level, detracting from the range of retail services available within the defined District Town Centre, adversely affecting the diversity of uses and the vitality and viability of the area, contrary to Policy STC 4 Major and District Centres - Core Shopping Areas of the adopted Unitary Development Plan and Policy CSP6 of the Submission Core Strategy. 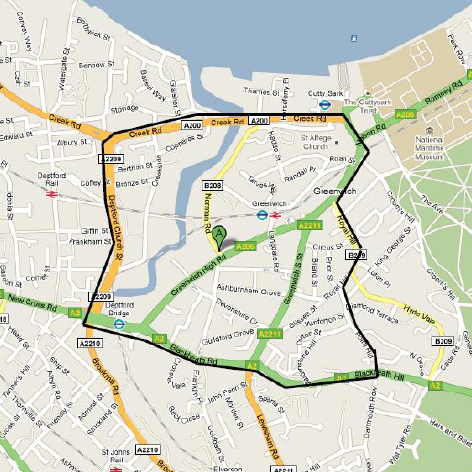 2) The proposed variation of Condition (2) to allow use of the premises for unrestricted A2: Financial and Professional Services, for use as a betting shop, would have the potential to cause harm in terms of anti-social behaviour, crime and disturbance to neighbouring residents and other users of the town centre, contrary to the requirements of Policy STC 4 Major and District Centres - Core Shopping Areas in the adopted Unitary Development Plan (2004) and Policy CSP6 of the Submission Core Strategy. Betfred will now have to appeal to the government Planning Inspectorate in Bristol. 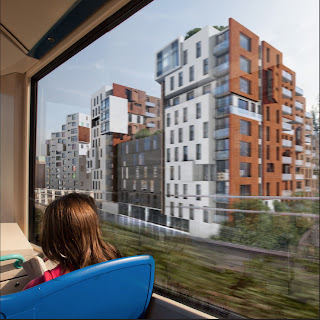 We would like to think Lewisham's decision was reinforced by the sheer volume of objections from the community and the petitions signed, which totalled over 1100 signatures overall (320 of which went to planning - see earlier post). Meanwhile, Betfred's application to make modifications to the back of the building was granted, so the building work that we've witnessed over the past few weeks will probably continue. Like Paddy Power at the Deptford Arms, who went ahead with their new shop front despite planning permission being turned down, Betfred are likely to continue refitting the ground floor premises at 93-95. 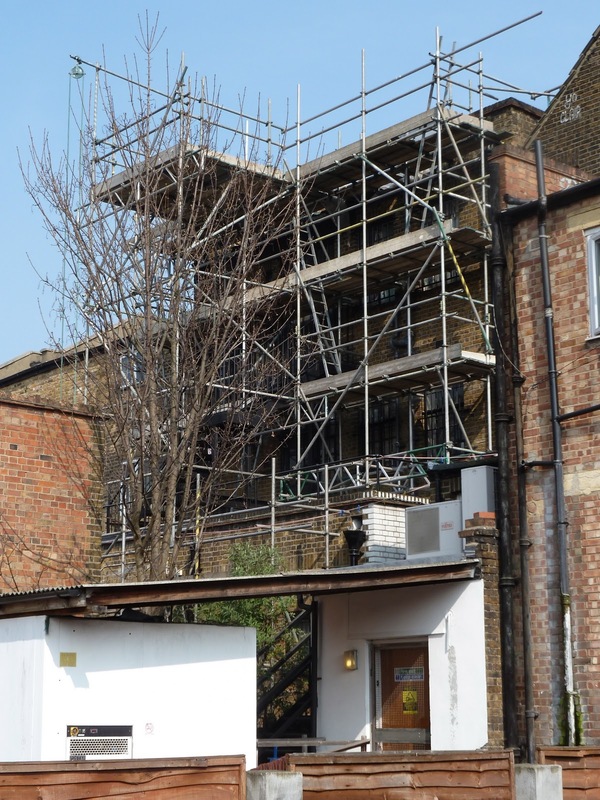 Paddy Power will now be subject to planning enforcement that may involve a retrospective planning application, a long drawn out process that would hopefully result in them having to rectify what they've done and remove unapproved structures at their own cost. Betfred announced sales of £3.5bn in January 2011, up 30% on last year. 'Pre-exeptional' operating profits were £12.37m. £10.2m of 'exceptional costs' relating to 'provisions against property-related loans' mean that their pre-tax profits were only £360K...Despite some closures, Befred opened 41 new shops in the 12 months to the end of March 2010, taking the total number of outlets to 832. They have since increased their portfolio to beyond 850, with the intention of expanding to 1000 over the next year. The business had continued to benefit from the operation of fixed-odds betting terminals, while a tight rein had been kept on overheads. Staff numbers had increased to 2,951. Betfred is a leading contender to buy the Tote, which was officially put up for sale by the coalition government in June 2010 and estimated to be worth up to £200m with 3,300 staff and 500 shops in the UK. Meanwhile, Paddy Power announced in March 2011 that profits rose by 56% as it capitalised on World Cup misery. The draws against America and Algeria in the group stages of last summer's world cup were preceded by a wall of money being placed by patriotic fans on England winning. The company also benefited from its acquisition of Australian company Sportsbet. Pre-tax profits rose to £89.6m in 2010, £6.4m of which were UK operating profits. Almost two-thirds of its profits last year were generated outside the Republic of Ireland, and most of their revenue is now internet related, with many punters using smart phones to place bets. (It is expected that there will be a billion smart phones in use by 2013, as many as there are now computers). 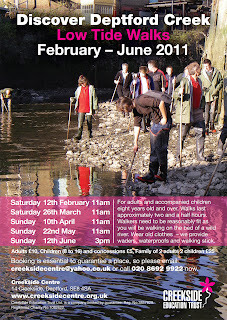 Crossfields have been leafleted about the above event (the New Cross Assembly). Before you bin the leaflet, think about this: when was the last time you saw your councillors? The second item may present an opportunity for discussion - or not (we are seeking clarification). Those attending will be 'asked to agree the new action plan which looks at addressing these priorities: crime and antisocial behaviour, youth provision, traffic and road safety, lack of decent shops, flytipping and rubbish'. We note there may be an opportunity here to discuss the proliferation of betting shops, a subject our councillors have been very quiet about. 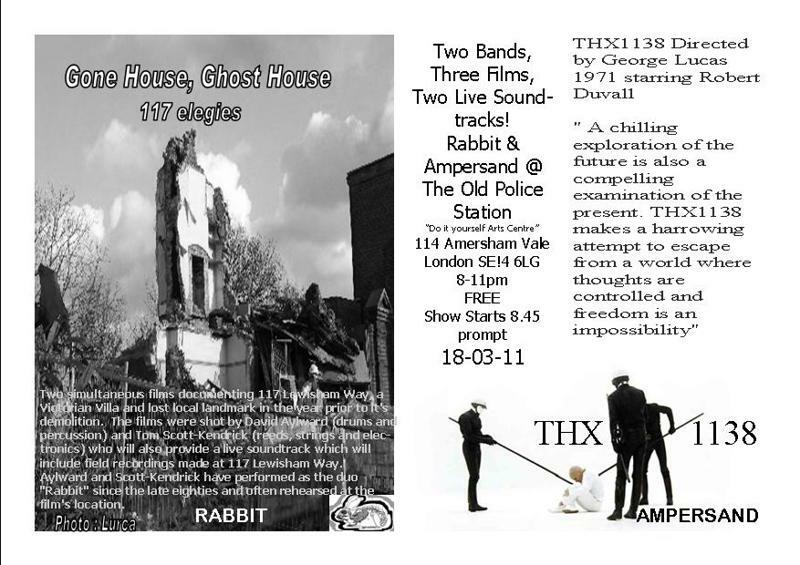 The third item will be of interest to anyone wanting funding for a project. Note that the application process will start from the date of the meeting and close on Tuesday 10 April. However, since 10 April is actually a Sunday, we have sought clarification on this too. Either way, if you've got an idea for a project that will benefit New Cross ward, you have less than 3 weeks from today to put together a proposal. The meeting takes place at 7pm at Woodpecker Community Centre, SE14 6EU. Meanwhile, you may like to raise your blood pressure by pondering on Ward Boundaries. 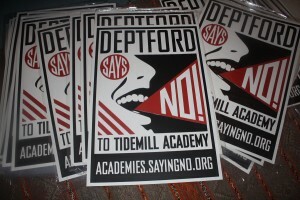 Why has Deptford not got its own Ward? 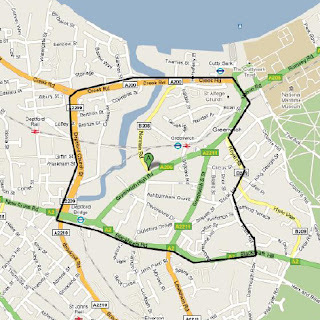 Why is Deptford High Street split in half between New Cross Ward and Evelyn Ward? Why are we lumped in with New Cross? Each of the 18 wards in Lewisham refer to a specific village/town, eg Sydenham, Forest Hill, Brockley, Blackheath, Lee Green etc, but there is no Deptford ward. This has been the case since 2002. Before that Deptford had its own ward, Grinling Gibbons, part of Lewisham North West that included Evelyn, Marlowe (New Cross) and Drake (Brockley). Deptford Town Hall was built in 1905 to serve the Metropolitan Borough of Deptford, but was swallowed up by the London Borough of Lewisham in 1965. And of course now the town hall has been swallowed up by Goldsmiths College. Incidentally, as of last night, Goldsmiths students are now occupying the old Town Hall where the college's senior management are based. 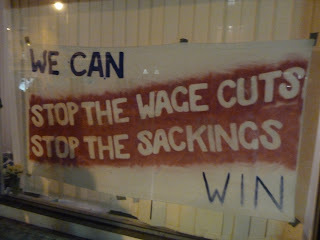 We heard about the new occupation this morning via an email from Lewisham Anti Cuts Alliance (LACA), but now Seb Wheeler at East London Lines has the full story. Postscript: And Transpontine has now posted with some pictures. The march will assemble from 11am on the Victoria Embankment between Waterloo and Blackfriars bridges and proceed through central London until reaching Hyde Park, where the rally will start from around 1.30pm. Obviously if you want to hear the rally you will want to get up to town earlier than 2pm, but the organisers advise that locals go later to make room for the hundreds of people coming down to London by coach, who will also need to leave earlier to get home. Stop Press: Contrary to anything you might hear from Social Centre Plus etc, there is no official "feeder march" from Kennington. See here. Unofficially, there is a feeder march from Kennington from around 11am...but you may risk being kettled before you get near central London. Info on other feeder marches here. Join homes, businesses and iconic landmarks across the UK in switching off all non-essential lighting at home and at work between 8.30pm and 9.30pm. 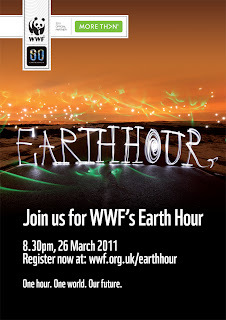 More info at the World Wildlife Fund's website. 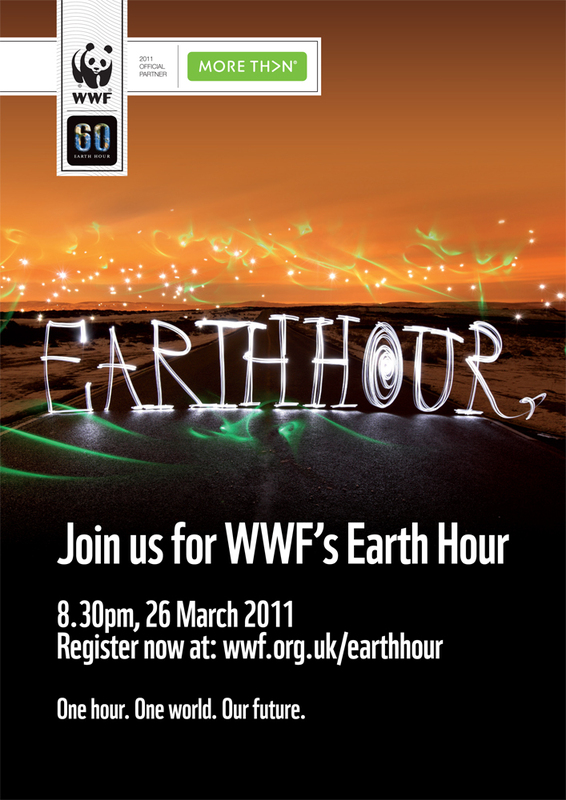 London schoolkids will be Switching Off at 2pm on Friday 25th as part of Climate Week. 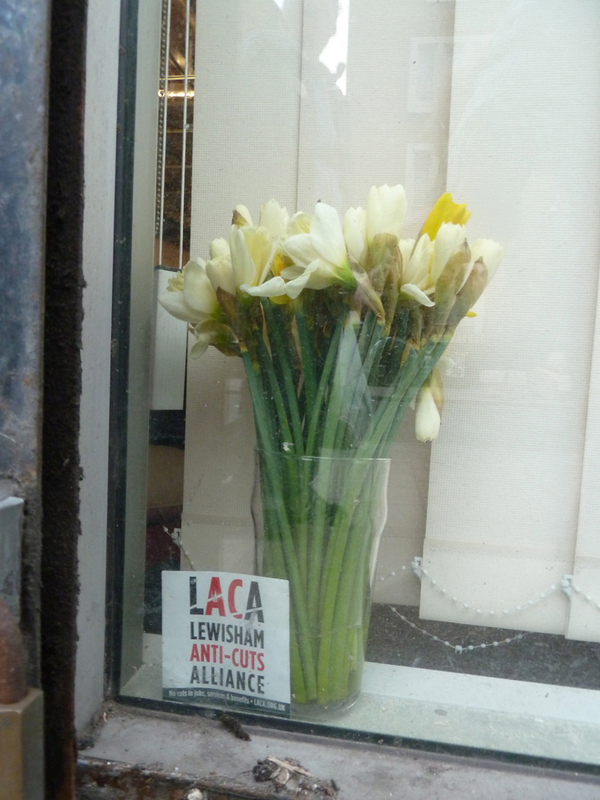 Apparently Lewisham Council has been shortlisted for a 'Best Local Initiative Award' by Climate Week for its work with public, private and third sector organisations as well as the local community in the Low Carbon Zone in Lewisham Central. First we've heard about it. See here. 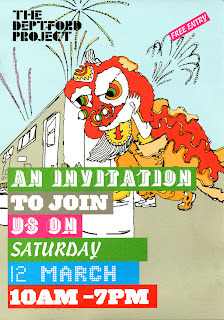 Anything else happening on Saturday we should know about? Postscript: Deptford Dame has listed a 3pm classical music gig at the Royal Naval College with donations going to Red Cross relief in Japan. More info on the Dame's blog. Whilst we wait for the activists occupying the Deptford Job Centre's old offices to get their act together to involve the people of Deptford in protesting about the government's savage cuts, we thought we'd get on with the job with this great video...Go Lorraine! There are usually four reasons for Crossfields to be pestered by low flying helicopters: a police search, a traffic 'flying eye', an ambulance airlift, or, as in today and tomorrow... the Navy are in town. Ian Visits has the news that HMS Bulwark is up from Plymouth and docked for a couple of days down at Greenwich. There were demonstrations today — and again tomorrow between 11am and 12.35pm. Warships aren't really my thing, but it might be an interesting spectacle for some, and I am glad to read that the demonstrations will also illustrate how the ship can be employed in humanitarian circumstances. Perfectly camouflaged for today's London grey. 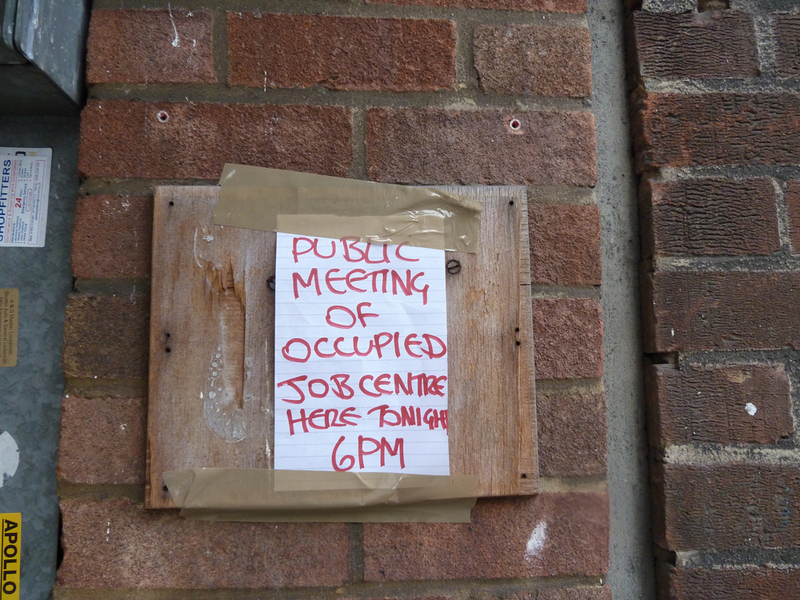 This afternoon some anti-cuts activists entered and occupied the offices of the old Job Centre (next door to the main job centre plus). 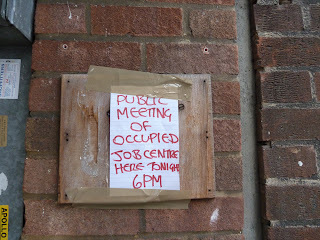 Banners went up in the windows and a notice was put up of a public meeting to be held at 6pm. We went along for the meeting and joined around 40 or so others who sat on the floor in a circle to hear everyone introduce themselves and to discuss the intentions of the occupation and put forward ideas of how they would use the space. Much of the first part of the meeting was taken up with discussing what to do about the fact that the owner of the building had already invited Rebecca Molina (who runs the Deptford Project) to occupy the space for a year as a pop-up community space with a programme of events and activities, something she had been working on for a couple of months. Rebecca attended the meeting to explain her position. The squatters decided, however, to continue the occupation and establish the building as a base for political activism against the cuts. When one of the group stated they were looking for other unused buildings to squat we suggested the Halifax (where Betfred hope to open the eighth betting shop on the high street). The Chair was rather dismissive: "if you want something done, do it yourself" was his answer. * Unfortunately we had to leave the meeting as the group began to discuss ideas for how they would use the building and engage the local community. This obstensibly was what Rebecca had been planning, but with the owner's consent and without the politics. The occupiers plan to live in the two floors above the main space. 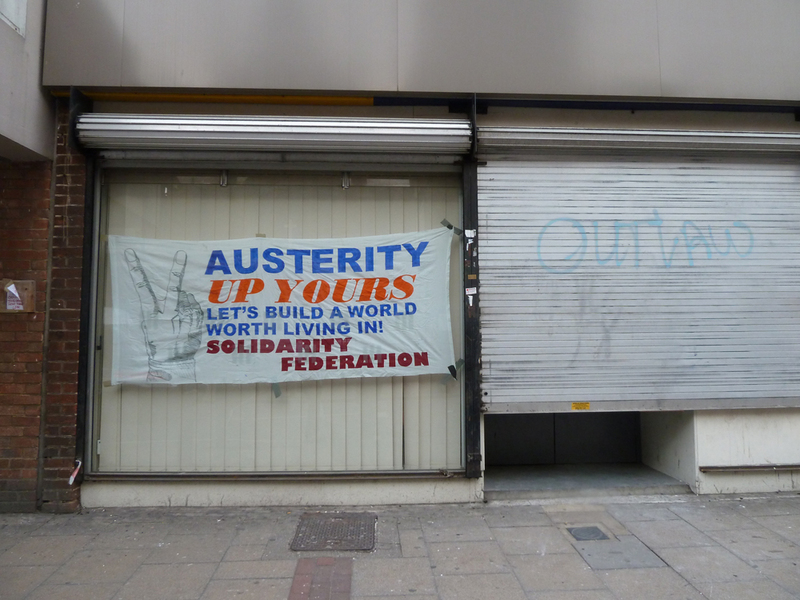 They have set up a website where they state: "We have occupied the disused Deptford Job Centre as a response to the brutal cuts to public services being carried out at both a local and national level. We aim to clean the place up and convert it into Social Centre Plus: a new public space for members of the local community here in Deptford and the surrounding area, that we can share, contribute to, and create a truly social building and a hub of local opposition to the cuts programme. "This is a self-organised space, run by people from a variety of backgrounds and we are not in any political parties. 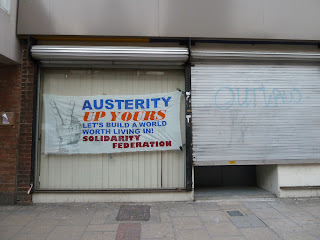 "We have taken the space in order to also demonstrate our resistance to the cuts Mayor Steve Bullock and his Labour cronies, under the orders of the Tories in Westminster, are promising us. The Council aims to slash £88 million off of its budget within the next four years. Libraries, day care centres and early years centres will all be closed while we have to suffer from pay cuts and price rises. "...we want this to be a free space for the community to use and we invite everyone inside with their ideas for the building and the wider world, or even just to chat over a cuppa. We plan cafés, film nights, workshops, and a million other things on which we’d love to hear your ideas!" * Postscript: Subsequent contact has been made and support offered for the anti-betting shop campaign. One of the group is staging a play-reading performance at The Albany next Saturday 19th March at 7pm. Mandy Destroys World Capitalism by Bill Jefferies "reflects perfectly the current zeitgeist with its tale of seedy bankers, corporate corruption, vicious workplace sexism and different ways of fighting back from street protests to individual acts of vengeance." Staged with professional actors and direction, the evening has been organised by Artists of Resistance in partnership with Lewisham Anti-Cuts Alliance and Manchester's White Circle Theatre Company. Entry is via £5 donation to the Anti-cuts movement. 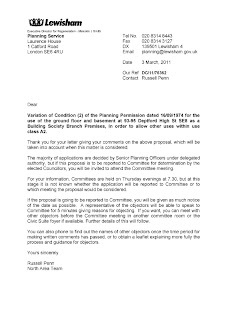 The deadline for objecting to Betfred's Planning Application for 93-95 Deptford High Street passed ten days ago. There were 74 79 objections submitted, plus one petition. You can view the list of objectors here. The petition was made up of both the paper petition signed by 161 people and the online petition, which at the point of submission on March 1st, had 160 signatures (and presently stands at 173). This second paper petition was gathered in less than 10 days. The first paper petition against Betfred's Gambling License Application ran for much longer (beyond the Gambling License hearing deadline) and garnered over 800 signatures, and serves as an indication of local opinion. Many, many thanks to those who signed the latest petition against Planning Permission being granted, and to the shops and venues who hosted it. The online petition has space for signatories to leave comments and these views were incorporated into the submitted petition to Planning. 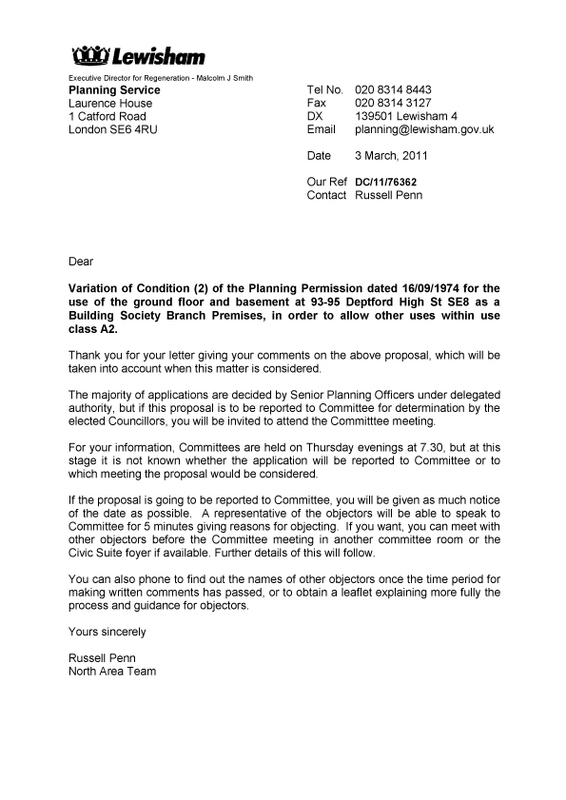 All those who wrote individually to Planning to object have been sent a letter of acknowledgement. Planning have requested that petitioners also be advised of their letter. At this stage, the letter simply sets out the process, and as soon as a date is set for the hearing we shall notify you. See the letter below (click to enlarge). Meanwhile, please tell all your friends and associates to sign the National Petition Stop Betting Shops Taking Over Our High Streets which aims to lobby government to amend the 2005 Gambling Act. 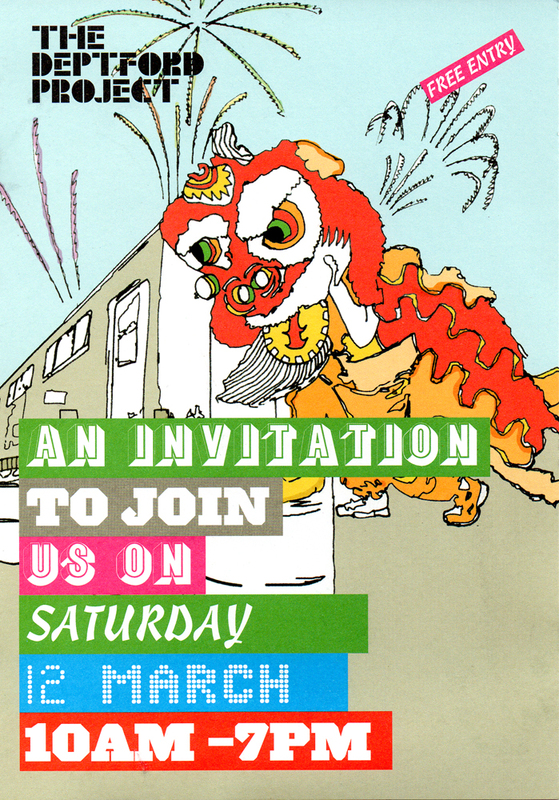 This Saturday 12 March there'll be African Poetry (2pm), a Steel Band (1pm), food and craft stalls (10am-6pm), Lion Dancers (midday), face painting and Mahjong (12.30pm), Dohl drumming (3pm), and Reggae DJs (3pm-7pm), all congregating in the Deptford Project yard. 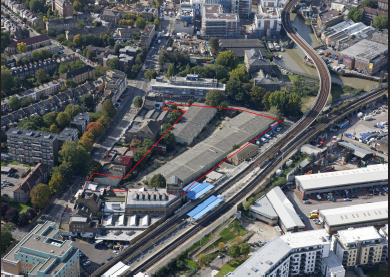 Deptford Project sponsors, Cathedral plc, are inviting you to look over their plans for the site and give them your views. They'll be in Arch No.1 in the Project yard on Saturday and also Mon-Fri 14-18 March between 10am-5pm. Meanwhile, Cathedral are also applying for planning permission to develop the old Norman Road Industrial Estate just beyond the Ha'Penny Hatch. 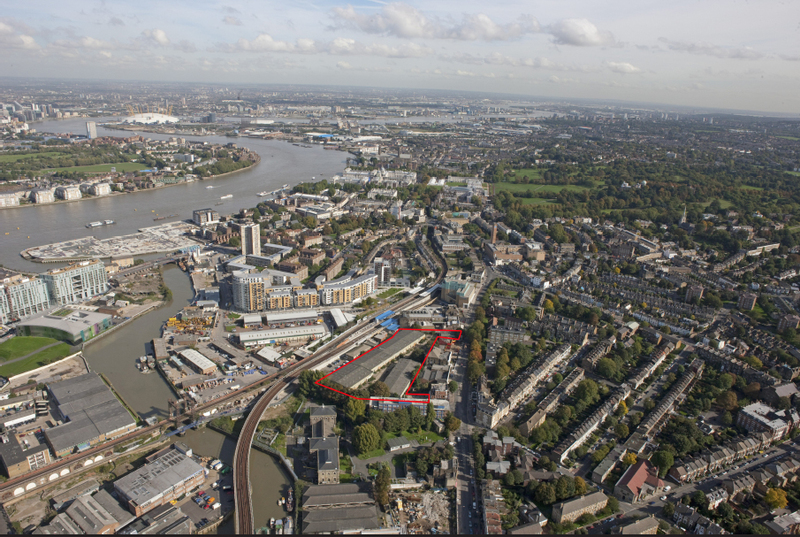 Their plans here could radically alter some Crossfields' residents' views towards Greenwich in the near future. According to their Statement of Community Involvement, this is the area of consultation. This is a mock-up of the view from the DLR. Here is an aerial view looking north east of the area covered. Crossfields is just off shot at bottom left. Crossfields is top right in this view looking south west. If you have any objections to the plans, note you'll have to submit as a member of the public since although we're supposedly in the consultation zone, we have not been consulted. Objections must be in by around 15th March. You may find there's nothing to object to except the loss of your view.